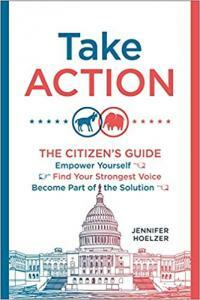 Jennifer Hoelzer served as communications director and deputy chief of staff for US Senator Ron Wyden, helping make him one of the most visible advocates for health care reform. She fought to expose the NSA’s illegal surveillance program and revealed the Bush administration’s violation of the Geneva Convention on the front page of the New York Times. She is a credited consultant on Veep and has written for the Huffington Post, Slate, Sports Illustrated, and Techdirt, among other publications. She has appeared on Democracy Now as well as numerous podcasts, and regularly addresses student and advocacy groups on how best to influence elected officials. Before joining Wyden’s staff, she worked for two members of the House of Representatives and was a writer/producer for The McLaughlin Group. She lives in the Hollywood Hills with her dog, Ziggy.